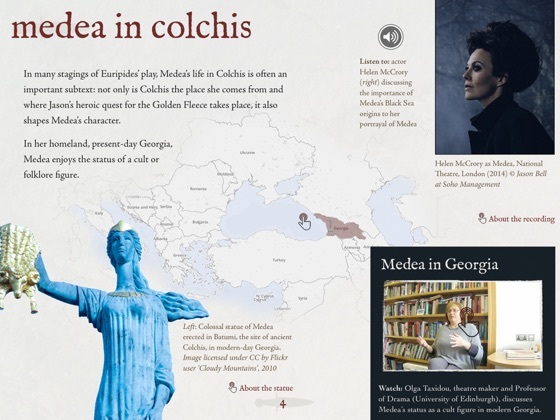 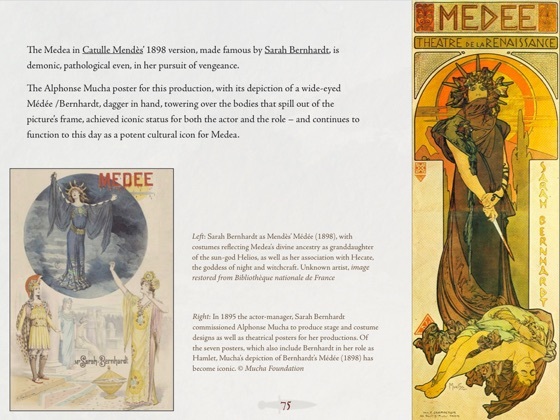 Medea, a performance history is a free multimedia/interactive guide to the production history of Euripides’ Medea – an ancient Greek tragedy about a mother who, betrayed by her husband, exacts revenge by killing her children. 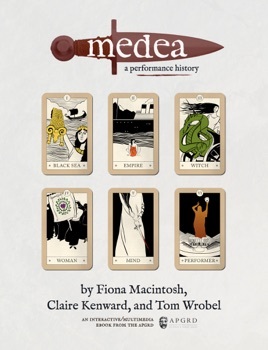 First performed nearly 2,500 years ago, and continually reinvented since, Medea remains the most controversial yet alluring female role in the history of theatre worldwide. 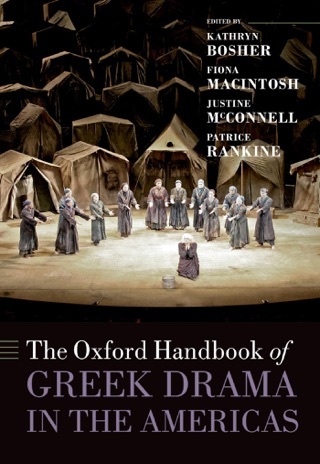 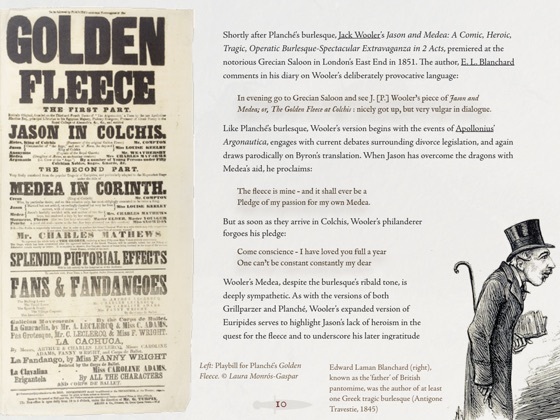 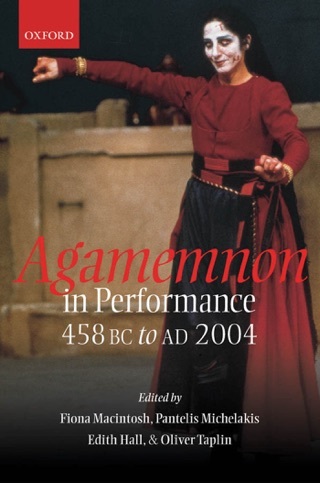 This multimedia/interactive ebook draws on a unique collection of archival material and research at the APGRD (Archive of Performances of Greek and Roman Drama) at the University of Oxford and uses images, film, unique interviews and digital objects to tell the story of a play that has inspired countless interpretations, onstage and onscreen, in dance, drama and opera across the globe from antiquity to the present. 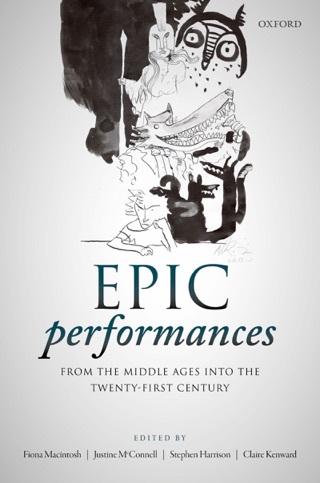 Thanks to funding from the Arts and Humanities Research Council, the ebook is free to download. 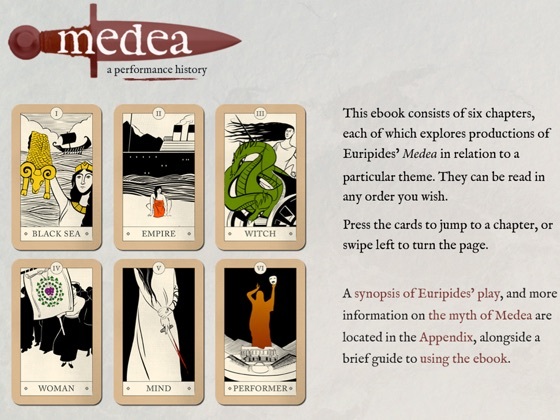 A less interactive EPUB version (for non-Apple devices) is also available on the APGRD website.